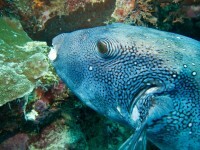 Reef diving will open your eyes to a new environment filled with color. 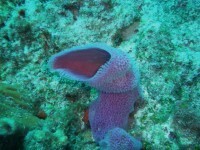 Scuba diving on coral reefs is one of the top reasons for learning to dive. Heard this before? 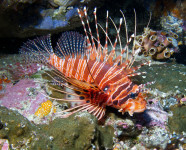 It’s the colors of the rainbow – Red, Orange and Yellow, Green, Blue, Indigo and Violet – combine these colors with crystal blue warm waters and you’re going to be in for a treat when you go out and discover Reef Diving. Reef diving usually involves coral and marine life, a camera should be at hand as you are going to see some colors which can only be appreciated properly underwater. Man and pollution are the main reasons for the coral reefs disappearing from our oceans, hence a lot of conversation about conservation is going on worldwide. If proof was needed that man is one of the main perpetrators of the coral reefs decline, just have to look at the reefs off the Cuban coast. Their corals are not only thriving due to years of inaccessibility from tourism and growth, but actually re-growing and regenerating itself after disease. The ‘Garden of the Queens’ is a prime example of being able to experience rare species of corals which have survive hundreds of years and apparently in this area can be up to four thousand years old. Now for some science/ biology ……Coral reefs are immense underwater, organic structures which can cover 1000’s of square kilometres. Consisting of small marine invertebrates and a multitude of different coral types, these architectural sculptures of Mother Nature are not only beautiful but also critical to the oceans’ health. 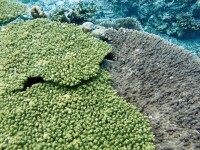 Coral reefs are essentially inanimate secretions of calcium carbonate which then binds together to form coral colonies. The reef invertebrates are covered with hard exoskeletons which merge with the coral to create the appearance of being very strong and rock-like even though any diver will testify that it is not always very strong and can break off. Which are the best reefs to dive? 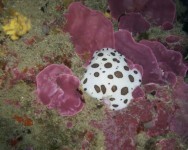 A past survey, listed some of the best coral reefs to be seen. The list is in no particular order…. Which is the biggest Coral Reef? Many people want to know which coral reefs are the largest, but after a number searches on the old interweb, it appears no group can agree apart from the fact that the Great Barrier Reef is the largest. If anyone knows the correct line up and can prove it please let us know so we can share the info …. Wherever you are reef diving, you are sure to be amazed!